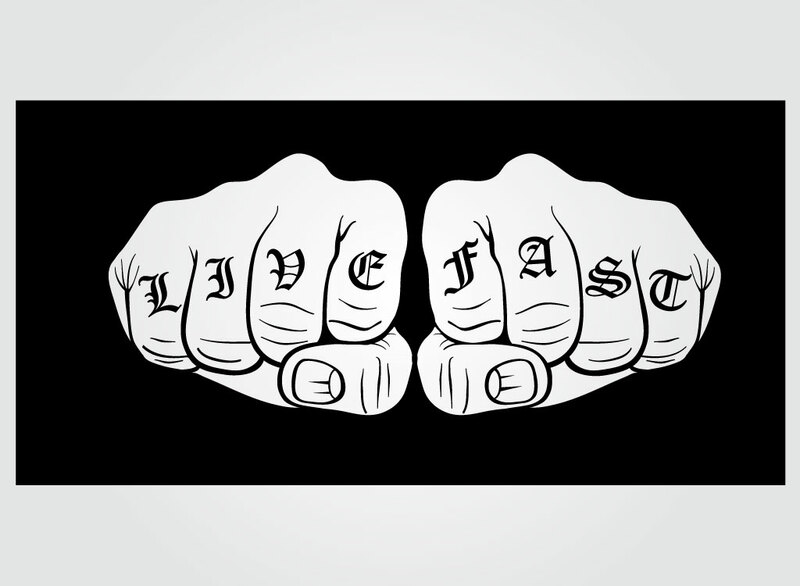 A pair of fists with knuckle tattoos reading “Live” and “Fast”. Cool thug life art for your urban style designs and illustrations. Download this hand drawn artwork for your projects. Zip file comes with AI, PDF and JPEG file for your convenience. Tags: Fast, Fists, Hands, Knuckles, Live, Prison, Tattoo, Thug, Tough.